Dr. Lori was born and raised in Hawaii, received her Bachelor’s in Psychology from UCLA and her medical degree from National College in 1988. As a Naturopathic Physician, Midwife, Yoga Instructor, Author, Guest Lecturer, Sexual & Spiritual Counselor, Musician and Nature Lover, “Dr. Lori” travels extensively, calling herself a “Life Artist.” Whether working, hiking, gardening, surfing, dancing, writing, drumming, painting,cooking, or exploring life, she puts her passion, creativity and aloha into her adventures all the same. Her space in Haleiwa is dedicated to “Vis Medicatrix Naturae” (The Healing Power of Nature) and the medicines of our sacred Mother Earth, where individuals, couples, groups and corporations can cultivate personal growth, radiant aliveness and ultimately inner peace. Dr. Taketa-Wong practices holistic family medicine with the philosophy of empowering patients to take an active role in their health. She specializes in medical treatment of autism spectrum disorders and ADHD, having completed training through the Autism Research Institute (formerly known as DAN!) and theMedical Academy of Pediatric Special Needs. Her area of interest extends to sensory processing disorders, learning disabilities, Down’s Syndrome, and cerebral palsy. This interest came through a strong desire to help her brother, who has Asperger’s syndrome, and others with similar needs. 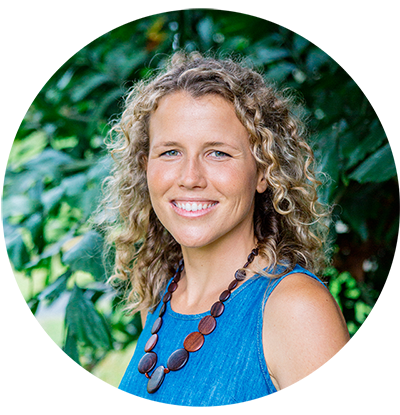 Born and raised in Hawaii, she received her doctoral degree in naturopathic medicine and master’s degree in Oriental Medicine from the National College of Natural Medicine (formerly National College of Naturopathic Medicine) in Oregon. She completed a bachelor’s degree in speech-language pathology, pre-medical coursework and an endocrinology honors thesis at Brigham Young University, Utah. She is certified in Qigong Sensory Training, a Chinese medicine-based massage shown in research studies to improve behavior, social and language skills in children with autism and developmental delays. Dr. Lauren is a Naturopathic Family Physician specializing in pediatrics, women’s health and IV therapy. She combines the best in traditional wisdoms with modern medicine to address the root cause of “dis-ease” and guide you on the path to true healing. Her mission is simple: to give you facts you can trust and tools you and your family can use to achieve and maintain optimal health. She truly believes our bodies have the capacity to heal beyond what we’ve ever been led to beleive. She wants you to feel empowered in your choices and is committed to proving the highest quality of care. Dr. Anne "Annie" Dericks’s approach to care blends modern and classical Naturopathic medicine to guide clients on journeys of healing and self-discovery while encouraging a deepening of inner connection and awareness. Born and raised on Oʻahu, she attended the University of Hawaiʻi and studied Lāʻau lapaʻau (Hawaiian herbal medicine). She received her bachelors degree in pre-medicine from Sarah Lawrence College and medical degree from the National University of Natural Medicine. As a Naturopathic Physician and Midwife, she maintains a private family practice focusing on women’s health, fertility, childbirth, pediatrics and chronic disease. As a Holistic Pelvic Care™ Specialist, she offers pelvic floor physical therapy to support fertility, postpartum healing and to address pelvic conditions including urine leakage, painful periods, pelvic pain, and organ prolapse. She is deeply humbled by the power of the human body to heal itself and considers it her role to discover the underlying cause of disease in her patients in order to form a path towards health. 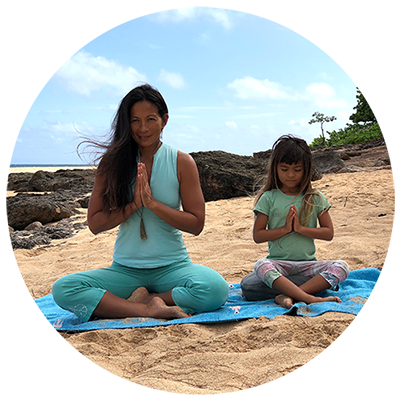 When not with patients, she can be found out in nature, surfing, cooking, practicing yoga, enjoying good company, sharing time with her ʻohana including her husband and two sons. Dr. Kristine Williams, N.D., L.Ac. Dr Kristine Williams is a naturopathic physician and acupuncturist. She grew up in upstate New York but was called to the majestic natural splendor of Hawaii to practice medicine. She obtained her bachelor’s degree from Marist College, and went on to get her master’s in acupuncture and doctorate in naturopathic medicine from the University of Bridgeport in Connecticut. Her specialty and passion is addressing concerns around women’s health and the unique obstacles women face on their journey towards wellbeing. Some of the ailments she addresses are: hormone imbalances, PMS, PCOS, endometriosis, post birth control syndrome, infertility, menopause, anxiety, depression, and pain. Dr Kristine has additional certifications and training in mind body medicine, facial rejuvenation acupuncture, functional medicine for women's health, and spiritual healing. Outside of work, Dr Kristine enjoys exploring and hiking Hawaii's many mountains, seeking new adventures, traveling, and attending medical missions around the world. Dr Kristine is dedicated to helping women feel and look their best using all natural healing methods. She enjoys blending both the art and science of the best of eastern and western medicine to achieve personal results and sustained wellness. Dr Kristine feels deeply grateful to offer personalized treatment plans for each patient and considers the doctor patient relationship to be as important as the recommendations she proposes. She is currently accepting new patients. Dr. Ye Nguyen was born in Vietnam and came to the United States in 1975, escaping Communism with her family. She graduated from the University of Central Florida with a B.S. in 1998, majoring in premed studies. She received her naturopathic doctorate & massage therapy training in 2003 from Bastyr University in Seattle, Wa. She came to Hawaii to complete her residency under Dr. Lori Kimata after graduation. 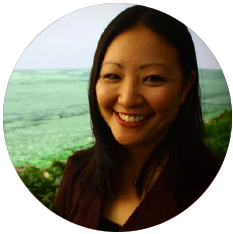 She is past president to the Hawaii Society of Naturopathic Physicians. Her bodywork specialities include Swedish massage, Ayurvedic massage, lomilomi, acupressure & cranialsacral therapy. She teaches Ashtanga and prenatal yoga & is passionate about using yoga & meditation as one of the many modalities of healing. Since 2003, she has been working with pregnant mamas. Her teachers have been very diverse, ranging from studying with Hawaiian healer, Uncle Alva, to apprenticing & studying with various midwives here on Oahu, to studying with the midwives at the Farm, in Tennesse. She is a home birth mama of her 2 children, Pax & Surya. She practices integrative medicine, working with the whole family. She is passionate about the empowerment of her clients, respecting each personʻs culture & stories, as she connects with each of them on a heart level. She is an Ashtangi, surfer, lover of waterfalls, swimming with dolphins, dancing hula and all things in nature. Tara Mattes is a licensed Acupuncturist and certified Doula. Tara graduated from the University of Colorado at Boulder with a B.A in World Religions and Biology. Upon graduation her career took her to various parts of the world where she eventually encountered acupuncture. Determined to learn more about this art, she was fortunate enough to land in Hawaii where she choose to study under Taoist Master, Dr. Chang Yi Hsiang, Ph. D. at the Tai Hsuan College of Acupuncture and Herbal Medicine. Focusing on Women’s Health, she sought out Sacred Healing Arts as a perfect fit, where she specializes in fertility, pregnancy, postpartum care, gynecological disharmony, and general well being. In addition to women’s health she is interested in all aspects of health and harmony and has a wide variety of experience from pain management, stress and fatigue, to addiction and recovery. As a Chinese medicine practitioner she treats each patient as a unique individual and implores the techniques of acupuncture, fire cupping, bodywork, nutritional counseling and herbs.